With such a gorgeous Summer so far, many of the clients visiting our Baldwin Street hair salon have been asking for a super-stylish, manageable, low-maintenance hairstyle for this hot weather. 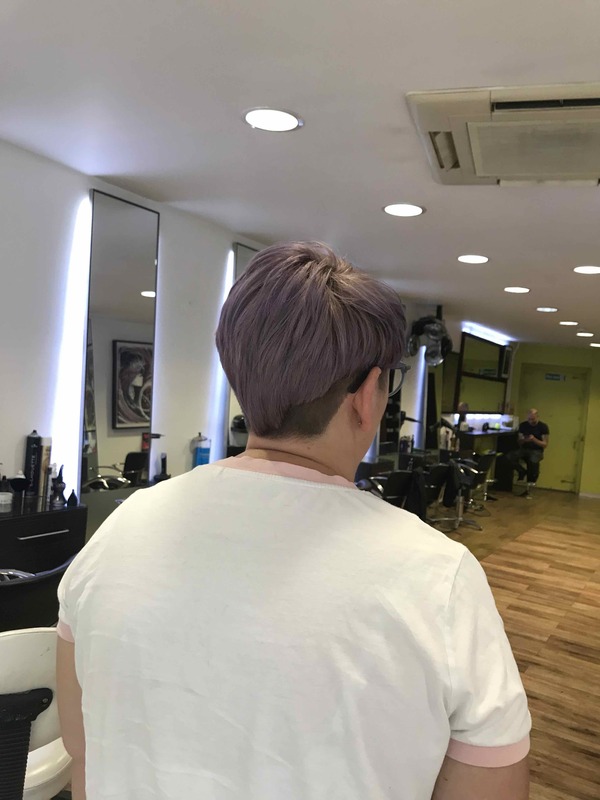 Our advice is to opt for a Full Undercut, as this on-trend hairstyle provides a stunning look which is functional, fashionable, and easy to wear, such as the Full Undercut example below from a recent client visit to our central Bristol Undercut hairstylists. Delivering a classic Full Undercut hairstyle is one of our most popular Summer hairstyles in Bristol, and our clients love the results. We start with a shampoo and wash the hair, then lightly towel dry and section out. The Undercut is then put into the hair and we work the shape over the top. The hair is shaped when damp and personalized to each client’s individual face shape, to create just the right Undercut hairstyle result for them. 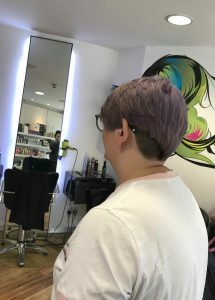 As a seasonal hairstyle, the Undercut has been trending this Summer in particular – probably because it’s a great way to remove long hair during hotter weather. A versatile look, with a trendy shape, but also practical. A Full Undercut leaves the hair in great condition, looking fantastic and is highly manageable when going on Summer holidays. Typically, an Undercut Hairstyle takes around one hour for the cut and blow-dry, and costs range from £33 to £39.50 or £46.50, depending on the level of stylist providing the service. Ask in-salon for further details when you book. To see our full range of bespoke Summer hairstyling, different Undercut hairstyles, British Hair products, Summer hair care tips, hair moisturising treatments, hair care, highlighting, hairdressing, British Hair products, hairstyling equipment, hair straighteners, hair curlers, curling wands, men’s hairdressing, hair treatments, hairstyling services, hair toning, hair colouring, haircuts, creative cutting, gents hairstyling, hair styling equipment, haircuts, and hair extensions we offer, please get in touch here.